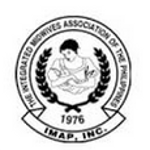 The result of the November 2015 Midwife Board Exam has been released. 2,867 examinees took the exam but only 1,273 passed. Arianne May Soriao Abella of Catanduanes State University in Virac and Emarie Legson Villare of Speed Computer College - Magsaysay in Sorsogon City tied for 1st Place. 288 Midwifery schools participated in the examination. The following Midwifery Schools performed very well in the examination. Notre Dame Hospital and School of Midwifery together with Notre Dame of Jolo College have the most number of examinees with 85 each. Colegio De Sta.Lourdes of Leyte Foundation inc. Registration for the issuance of Professional Identification Card (ID) and Certificate of Registration will be on November 13 and 16, 2015. 4. 2 sets of metered documentary stamps and 1 short brown envelope with name and profession and to pay the Initial Registration Fee of P450 and Annual Registration Fee of P420 for 2015-2018.